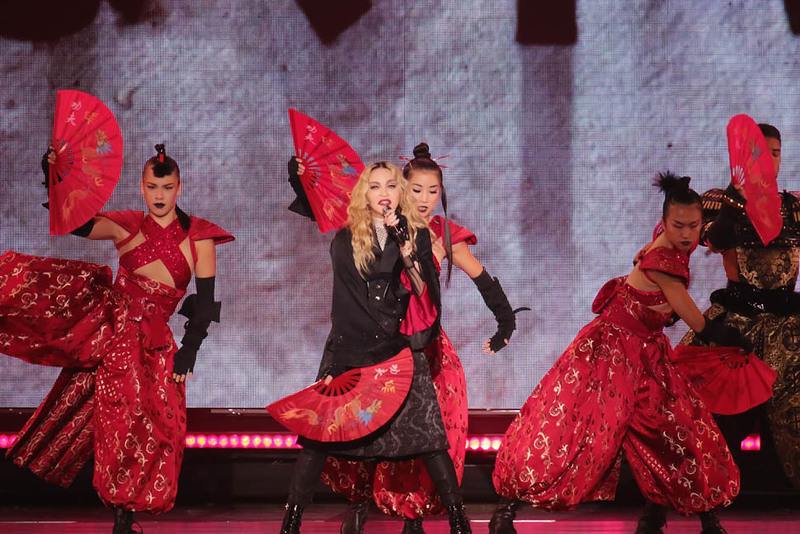 Madonna’s Rebel Heart tour stopped in Vancouver last night. 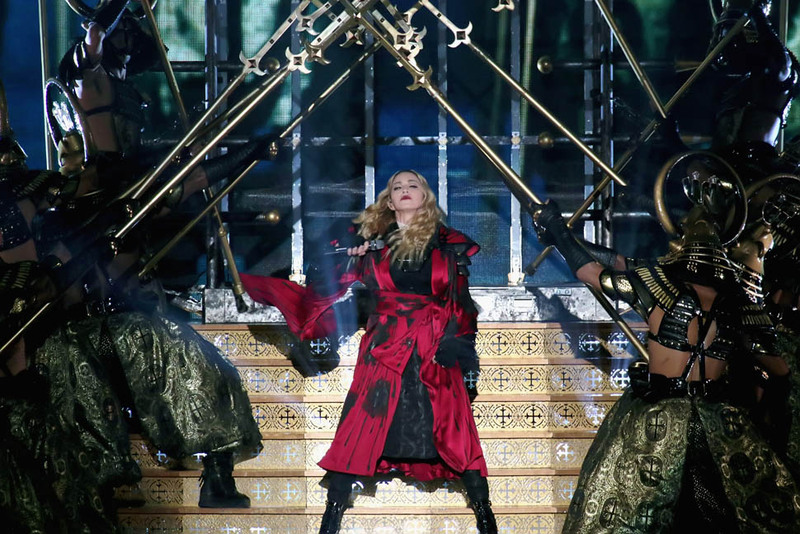 She has a runway coming out of the stage and at the end of the runway is a heart. 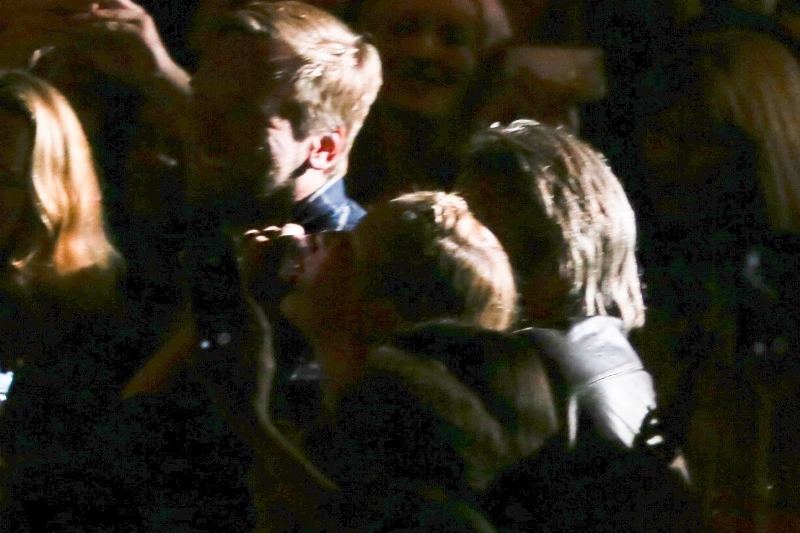 The point of the heart sticks out into the audience and that’s typically the VIP section. Lourdes was there at the Detroit show. 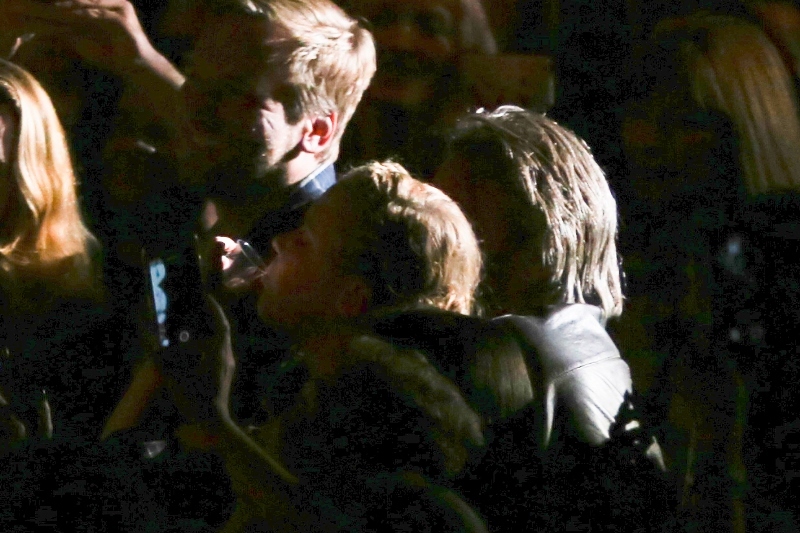 In Vancouver, the VIPs were Amy Schumer and Sean Penn. They ended up on the big screen together. 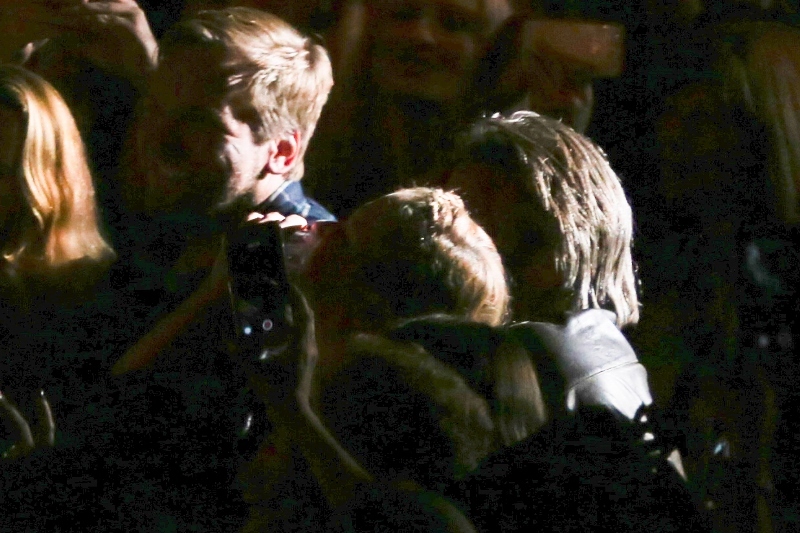 For celebrities, seeing a show in New York or LA or London… not all that remarkable. They live and work there. Amy performed in San Francisco on Tuesday. She’s due in Texas tomorrow. I mean, I don’t have access to her schedule but I’m not sure what work there would have been in Vancouver for one night. Sean Penn doesn’t have a new project announced. I mean, of course, there could always be a meeting for him to take in Vancouver or a location to visit but like I said, there’s been no reports that he’s working on a new film. 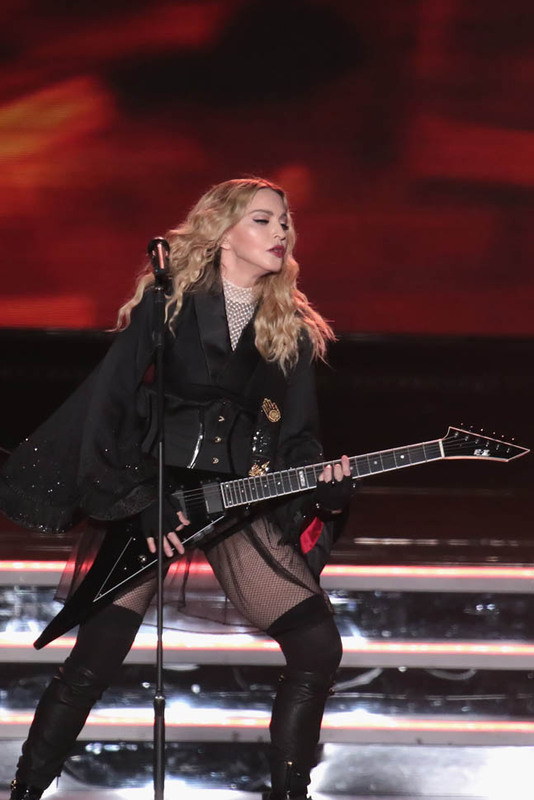 So it’s not entirely unreasonable to presume that both were just there for Madonna. Just to hang out. 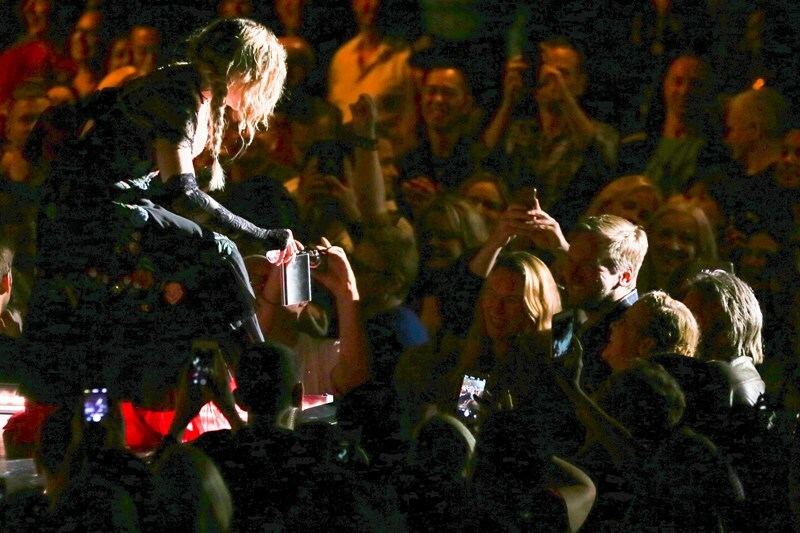 Madonna did shots with them during the show. And she also sang Secret. It’s not a song she plays a lot during that section of the concert, if it all. Do two coincidences make a secret? Is there a secret? And if so, what is it? 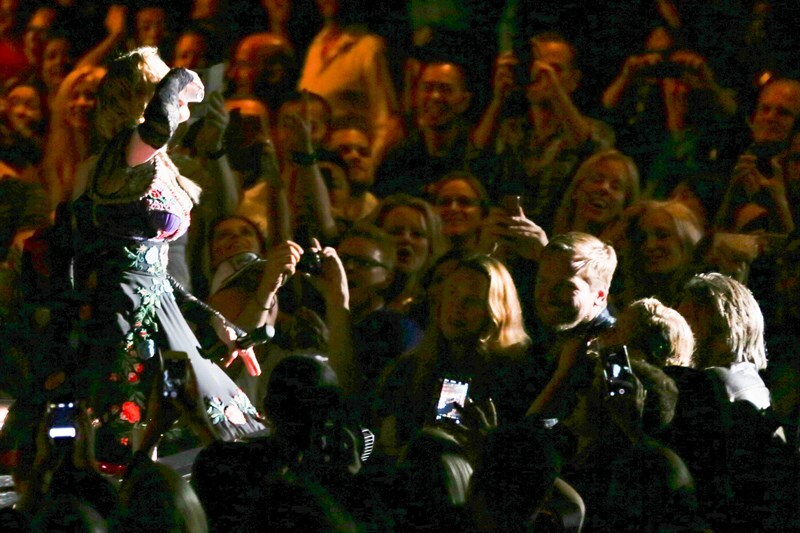 Also attached - Madonna performing in New Jersey last week.